What do I do with all these cards? I play in my craft room and my inventory grows to way more than I need, yet I play on. 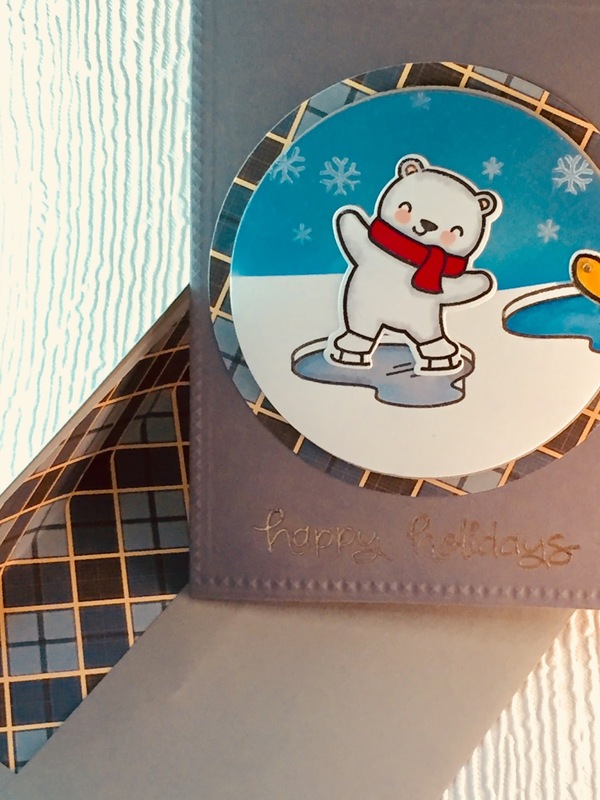 Fortunately, there are thoughtful people out there who come up with ideas for putting our cards into the hands of people who will appreciate them. Jennifer McGuire has posted on her blog the Caring Hearts Card Drive, which is going on now until November 17. 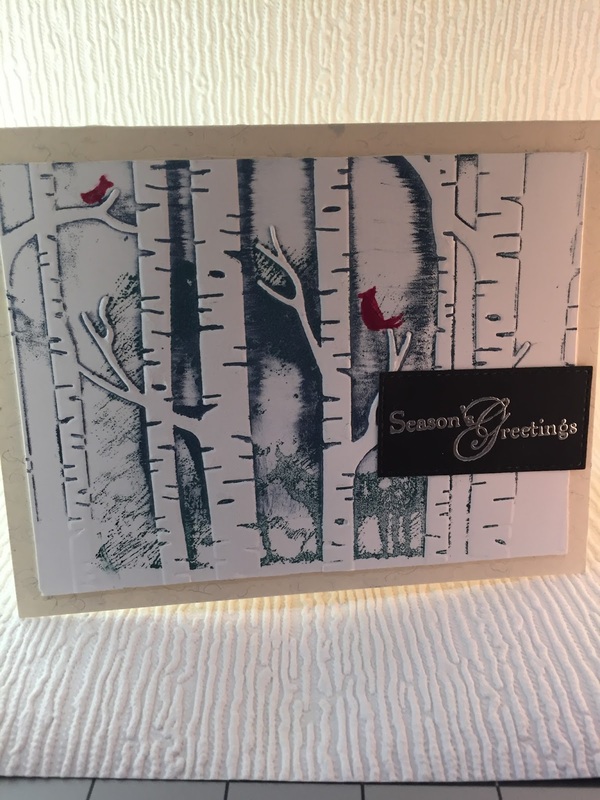 She and several cardmaking friends are collecting handmade Christmas cards from us to be distributed to nursing homes around the country. Cool idea, isn't it? A nice benefit for me is that having a deadline got me thinking about Christmas card design ideas. Below are a few of the cards I made for the drive using new stamps and old ones (wish I'd made two of each so I'd have a head start on my own cards!). Thanks for looking! 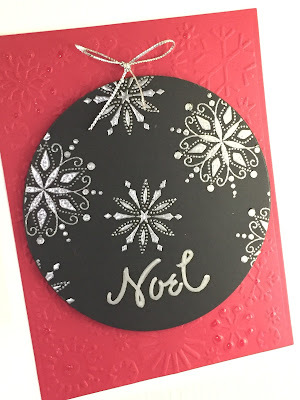 I stamped several snowflakes from an older Stampin' Up! set, heat embossed them in silver embossing powder, and cut out a circle before mounting on a piece of red cardstock that was dry embossed. I wrote the sentiment with a silver American Crafts pen. Still working with the circles, this one was done with Lawn Fawn's new Beary Happy Holidays. The background paper is from Carta Bella's The Great Outdoors 6x8 pad. 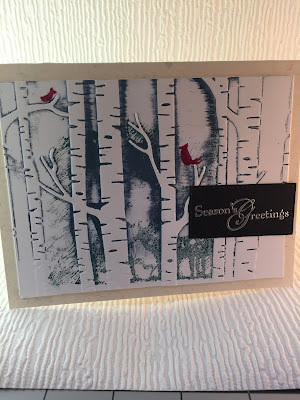 I also lined the GinaK envelope with the patterned paper, because the gray needed a little festive touch. 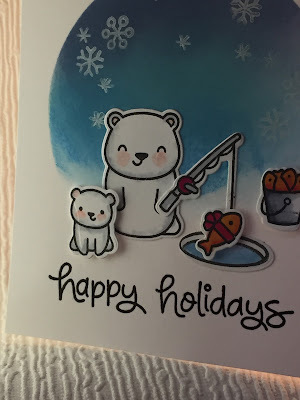 More from the Beary Happy Holidays set. I'm definitely going to make a few for myself. Such a cute set! Here's one I started last year using a very cool technique I found on Splitcoaststampers. It involves inking up an embossing folder to create a foreground and background at the same time.